This is a slightly updated version of a chapter in my first book about Fell Ponies (see end for more information). The Fell Pony breed received some good news in 2006. According to two organizations who track rare breeds, the Fell Ponies’ status as a rare breed improved. The Rare Breeds Survival Trust in England moved the breed from endangered to vulnerable, and the American Livestock Breeds Conservancy moved the breed from rare to threatened. These organizations use the number of breeding females as a measure of breed strength, and indeed this number did improve. Yet there are a number of other measures of breed health that these changes in status have not considered and that I think are worth pondering. As mentioned above, the way that the scientists of the rare breeds organizations have measured the health of the breed is by the number of breeding females. As the chart at right shows, foal registrations by year, an indicator of breeding female population, show a steady gain over the prior 20 years. The Rare Breeds Survival Trust used the number of breeding females to improve the status of the Fell Pony on January 4, 2006. Their press release states, “…the Fell moves from Endangered to Vulnerable and may drop another category next year if numbers continue to improve.” (1) The American Livestock Breeds Conservancy used a similar method, though in ALBC’s case, they found sufficient genetic similarities between the Fell and Dales Pony breeds to combine the two for conservation purposes, thereby increasing the breeding population size and improving the rating of the breed. When I bought my first Fell Ponies in 2000, I learned firsthand the modern manifestations of these bottlenecks. One of my first Fells was a 13-year-old mare whom I intended to breed. In preparation for breeding her, I undertook a study of her relatedness to all the licensed stallions in the breed worldwide at the time. (There were only four licensed stallions in North America at the time, and two were sons of the other two, so I wanted to understand the broader population.) I analyzed the pedigrees of 153 stallions. My mare was related to 75% of them somewhere in the first three generations. On top of that, she has repetitions in her own pedigree in the first three generations. These findings led me to conclude that we have a limited gene pool in this breed indeed and need to take care in proclaiming the breed’s recovery. In a book published in 1963 -- Ponies: Their Origin and Development in Britain by Daphne Machin Goodall -- the Fell Pony is described as “dangerously near to extinction.” It states, “About thirty ponies are registered every year and there are probably between 300-400 Fell Ponies left.” (4) Obviously the Fell Pony is much more numerous today, but such a small population in the recent past, in combination with a closed stud book, is another indication of the possibility of a limited genetic pool. The chart shows the size of the breeding population by decade that has contributed its genetics to the current population. (8) During the decade of the 1950s, approximately 114 ponies were actively being bred to produce today’s registered population. If Goodall’s population data in her book are accurate, then again only about 1/3 of the population of 300-400 ponies contributed its genetics to future generations. I consider FIS a threat not because of the foals who die each year, which is of course tragic. Instead, I am concerned with how the syndrome influences breeding decisions. All major family lines in the breed are affected. Given the genetic bottlenecks in the breed’s history, it is imperative that breeders choose their breeding stock based on the breed standard, not on whether ponies are carriers. Rather than avoid carrier parents, we need to breed from them prudently. I feel that the integrity of the breed could be at stake if the carrier status of a pony influences breeding decisions. Whenever there is a discussion of Fell Ponies as a rare breed on one of the internet email lists, invariably someone asserts that loss of type is the greatest threat to the breed. The discussions seem to assume that “type” is well understood. A recent discussion defined “type” as being what the breed standard in its entirety describes. I’ve concluded that “type” includes everything from the specifics of conformation in the breed standard to the attributes of hardiness, intelligence, and sure-footedness that often are used to describe the breed. I’ve also concluded that a breeder with any history has a firm idea of what they like about the breed, a firm idea of what they are aiming for with their breeding program, and, often but not always, a firm belief that the type they are breeding is the true Fell Pony! At the Fell Pony Society Stallion & Colt Show in 2005, it was easy for me to pick out different “types” of Fell Ponies, from those very pony-like with short backs and good substance to those bordering on horse-y-ness with longer backs, longer legs, relatively fine bodies, and big heads and/or ears. All of these ponies of course fit within the breed standard but portray the diverse manifestations that the standard can have. Like all the British native pony breeds, the character of Fell Ponies has been shaped by centuries of living in its home climate and terrain. Its physical stature has been limited by poor quality forage, for instance. Its surefootedness has been enforced by steep terrain. Its hardiness has been enforced by weather, terrain, and forage quality. The American Shetland Pony is often used as an example of what can happen to a breed when it is taken away from its native ground. The American Shetland with its flashy action, upright carriage, and fine bone bears little if any resemblance to the tough little ponies of the Shetland Islands. Is it possible that the Fell Pony will suffer a similar fate if its popularity continues to rise away from its home terrain? An e-mail string in 2006 asserted that such a fate was indeed a possibility if the North American Fell Pony market were to take off. The American Quarter Horse was cited as a breed that has mushroomed in less than a century to become the most numerous horse in the world. This example serves as a well-founded warning to those of us in the North American market to breed consciously and carefully. 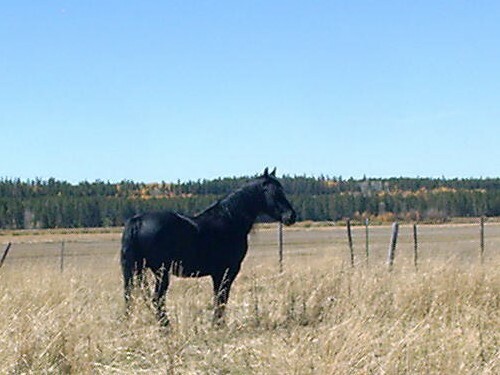 In my first six years of involvement with the Fell Pony, I saw the North American population grow sixfold, from 33 ponies in 2000 to 194 at the end of 2005. (13) This rate of growth obviously far exceeds the rate of growth in England and stems equally from new ponies being born here and ponies being imported. If the Fell Pony were to take off in popularity in similar ways to the Quarter Horse (albeit from a smaller base population), it is possible it could be changed from its original form. It is the responsibility of American breeders to respect the breed standard and breed true-to-type to the best of our ability. 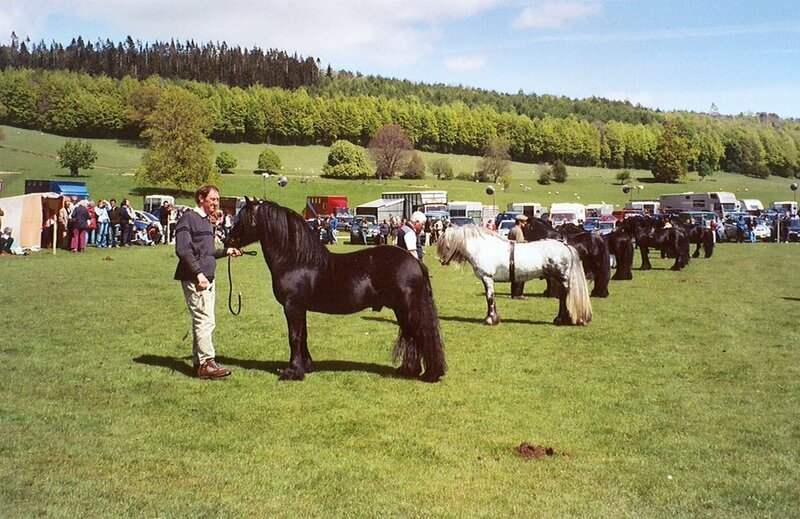 While the Fell Pony takes its name from the Cumbrian hills, a number of Fell Ponies have also been bred in England but away from Cumbria since the inception of the stud book. In the past decade we have lost a number of large Cumbrian herds that were owned by long-time breeders whose families declined to continue breeding. I began to wonder if in fact the proportion of Fell Ponies being bred each year away from Cumbria was growing and possibly becoming a threat to the breed. One of the problems, according to Murray, with Fell ponies being bred off the Fells, is that they may lose their characteristic hardiness. Hardiness is one of the most important breed attributes to me, so I will be studying this potential further. One breeder outside England has asserted that non-fell-bred ponies who are returned to the fells do not do well and may die. I queried one long-time fell breeder about retaining hardiness off the fells. The response was that it depends on type and age. The larger types bred away from the fells probably can’t survive there if returned, nor can older ponies who have been gone most of their lives. It is obviously good news that the Fell Pony is increasing in popularity and in numbers. The breed, however, still faces some threats. Those of us who care about the Fell Pony and its future need to stay informed about the threats to ensure the breed’s ability to thrive well into the future, just as it has survived lean times in the past. Note about footnotes: raresteeds.com no longer exists, but the data is in possession of the author. http://www.rbst.org.uk/pdf/press_releases/watchlist_pr.pdf as accessed in 2007. Murray, David Anthony. The Fell Pony: grazing characteristics and breed profile – a preliminary assessment. 2005, Earthwatch Institute, p. 48. Goodall, Daphne Machin. Ponies: Their Origin and Development in Britain, Cranbury, New Jersey, A.S. Barnes & Co., Inc., 1963, p. 60. In studying Fell Pony registrations, it is important to recognize that the registration process is a human one and therefore is prone to errors despite our best intentions. I have made corrections to pedigrees in the stud books where the corrections are obvious, and left inconsistencies intact when I could not resolve them. I am also aware that the enclosure scheme, in use from 1945-1976, may have incorrectly identified sires of some ponies. These problems only serve to further highlight the vulnerable gene pool of the breed. Original research as a byproduct of the Pedigree Information Service of raresteeds.com. Foals were entered in the database from 2000 back in time. When I reached 1993, 13% of the colts and 38% of the fillies were already entered because they had progeny (23% overall). Sires and dams for foals from 2001 to 2003 were already entered, indicating that the breeding population was captured by a ten-year window of foal registrations. Original research as a byproduct of the Pedigree Information Service of raresteeds.com. Foals were entered from 2000 back in time. When I reached 1993, 94% of the parents of the 1993 foal crop were already entered, indicating that the breeding population was already substantially represented in the database. Original research as a byproduct of the Pedigree Information Service of raresteeds.com. Breeding animals by year were determined from the mean kinship reports. Unique animals were then identified for the decades shown in the chart. Unknown sires and dams were assumed to be unique animals but may have been repeats. Numbers do not include ancestors of latterly accepted inspection scheme mares, though they may be included by coincidence. Millard, Sue. Hoofprints in Eden, Hayloft Publishing, Kirkby-Stephen, Cumbria, England, 2005, p. 222. Richardson, Clive, The Fell Pony. J.A. Allen, Allen Guides to Horse and Pony Breeds, 2000, p. 45. North American Fell Pony roster from raresteeds.com as available in 2006, now available from the author. “born in Cumbria” is determined by the address of the breeder in the stud book showing Cumbria as the county. Original research as a byproduct of the Pedigree Information Service of raresteeds.com. For stud books prior to 1981 where addresses of breeders were not supplied, locations of breeders were determined from later entries where addresses were provided, or breeders were assumed outside Cumbria. This essay is modified from a chapter out of my book Fell Ponies: Observations on the Breed, the Breed Standard, available internationally by clicking here or on the book cover.